After the appetizer was served, we were able to meet the Chinese dimsums. 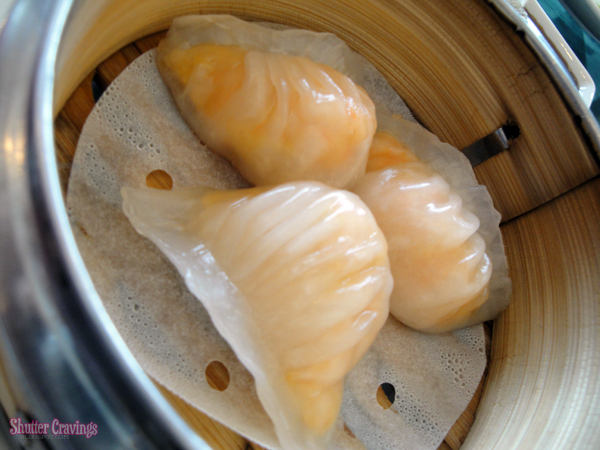 What sets West Empire apart from the other restaurants here in Davao is the Xiao Long Bao. 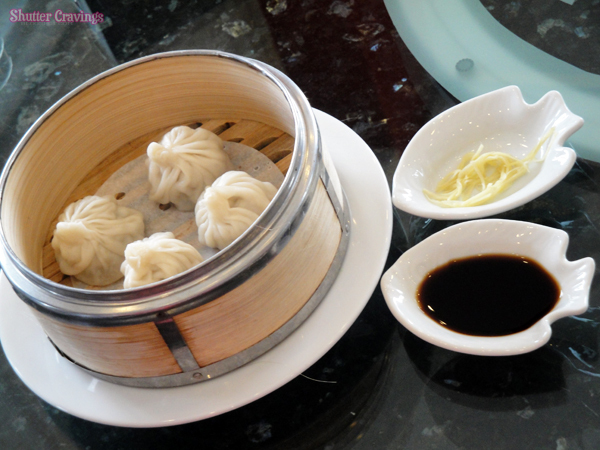 As far as I know, they are the first to offer Xiao Long Bao in the menu because others just served it seasonally. 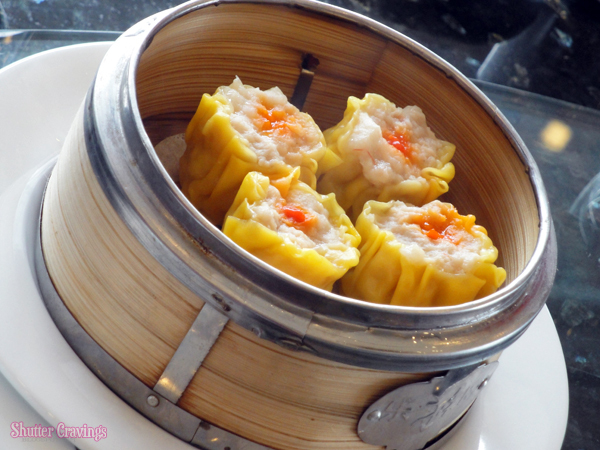 It was also my first time to taste such Chinese dimsum and I totally got hooked. One thing I also learned was that the Xiao Long Bao requires a unique manner of eating to fully enjoy its taste. Drumroll please! 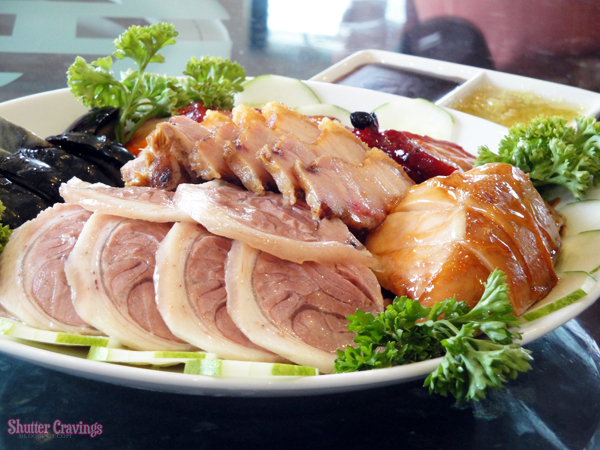 It's time to drool over the main courses of West Empire. 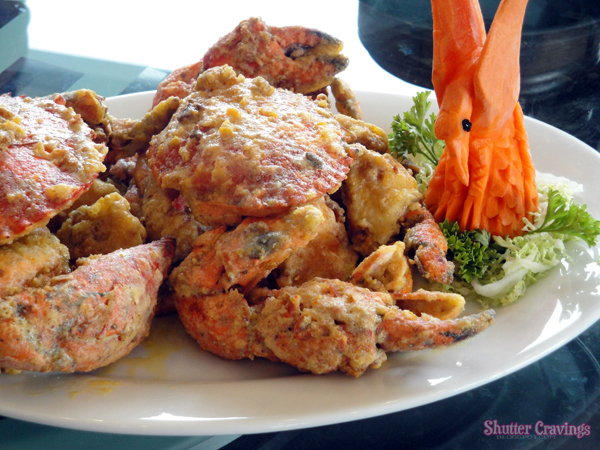 Fried Crabs with Salted Egg: the salted egg gives the right amount of flavor. 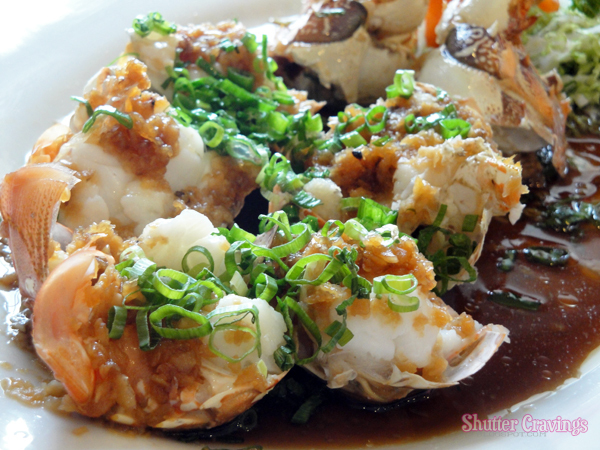 Bamboo Lobster: tastes really really fresh! 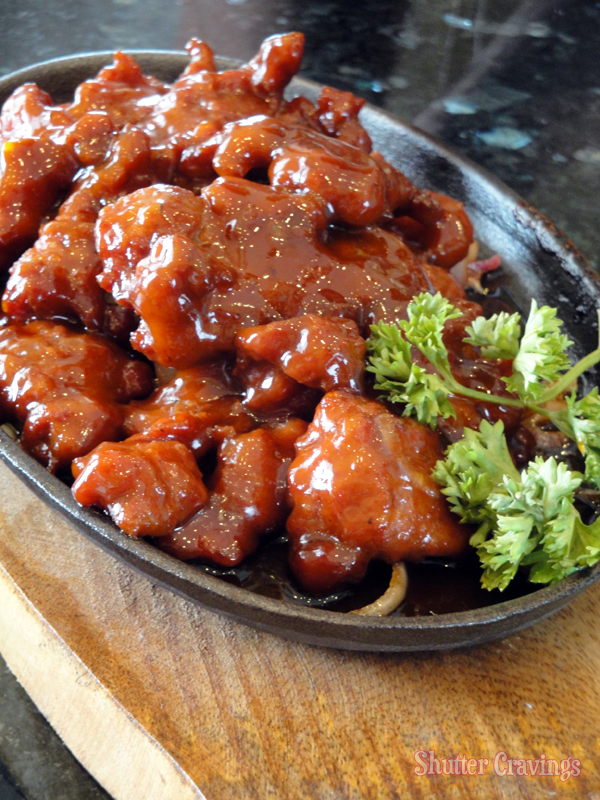 Lemon Chicken Fillet: the breading of the chicken tastes really great! Of course, a grand feast will not be grand without side dishes and desserts. 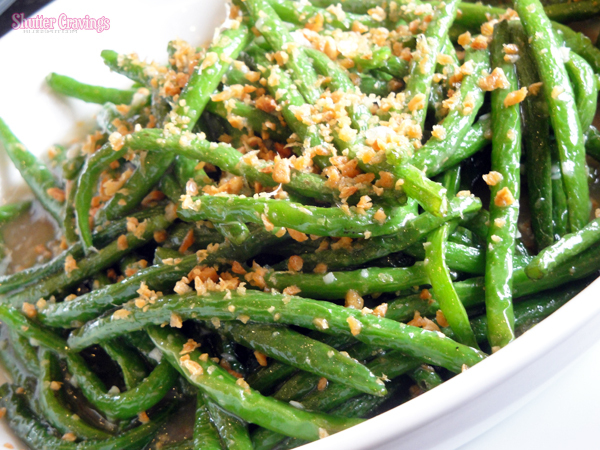 French Beans with Garlic: cooked just right! 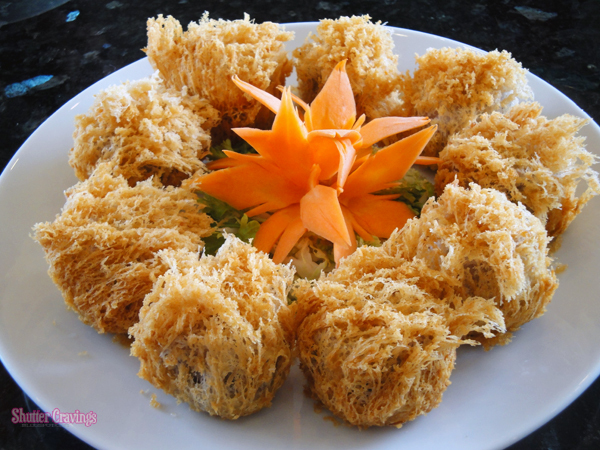 Taro Puff with Assorted Meat: a very great surprise of flavors! If there's one dish I tasted that will surely make my long commute from Bangkal to Lanang worth the while, it is their Warm Prawn Salad. 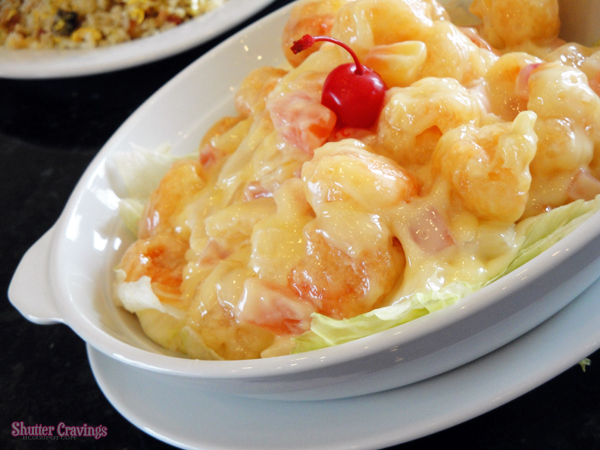 At first glance, it looked like just an ordinary fruit salad, but it exploded fireworks when I tasted the warm prawn in it. 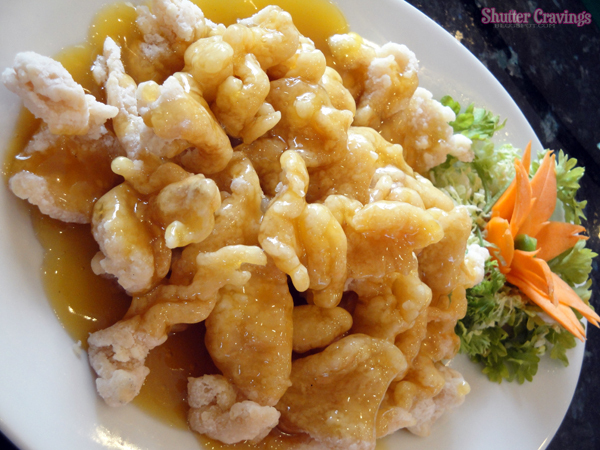 Make sure to try this dish when you get to visit West Empire, or else you will miss half of your life. With all the food presented and served to us, who could ever resist all of these? I surely forgot the meaning of the word diet from the first taste of the cold cuts down to the last serving of dessert. 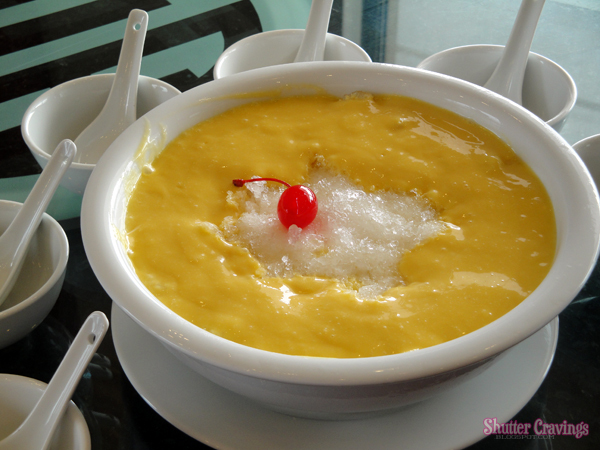 I was already close to savoring the Mango Sago if not only for my allergies. Speaking of allergies, I just recently discovered that my allergies can now be triggered by not-so-fresh seafood products. 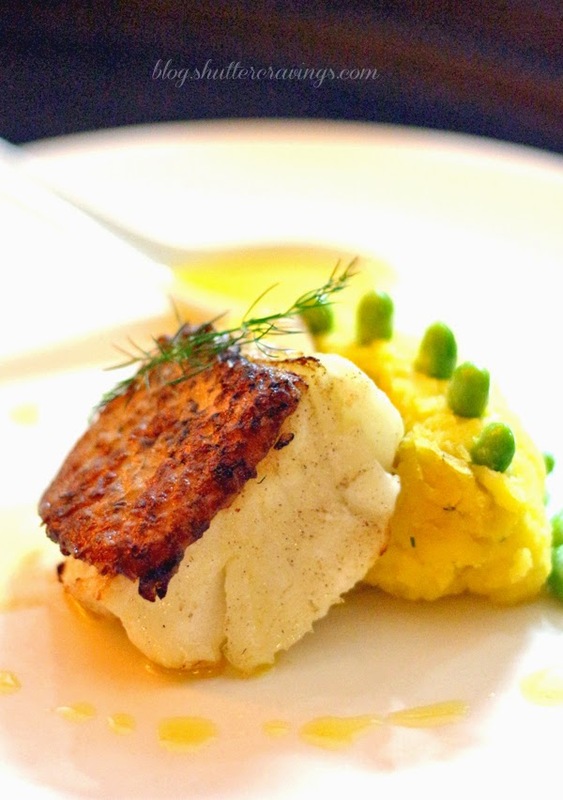 Not having even the slightest allergy attack after all this feast could truly vouch that this restaurant offers delectable cuisines from the freshest ingredients. Aside from just offering a sumptuous Chinese dinner for families and friends, West Empire also offers spacious VIP rooms for corporate events, gatherings, meetings and celebrations. 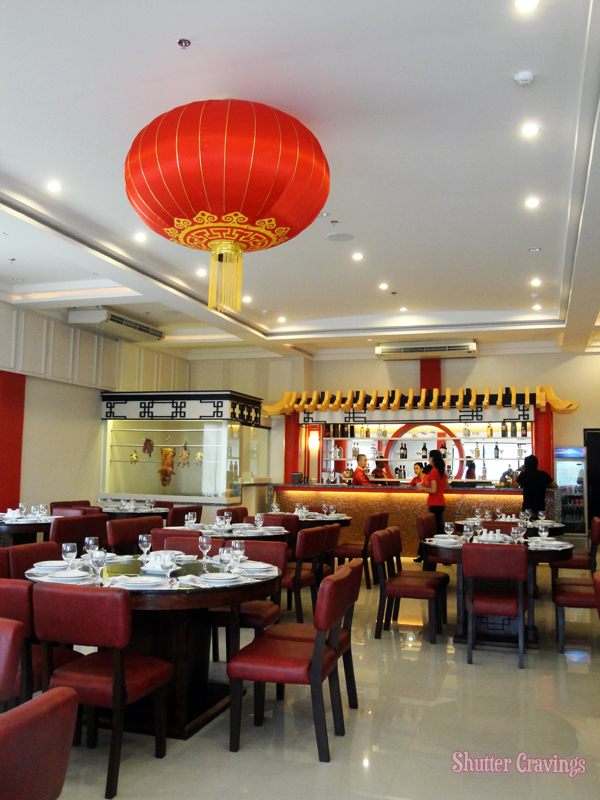 The staff in this restaurant are also very accommodating, you'll certainly feel like a Chinese royalty within their midst. 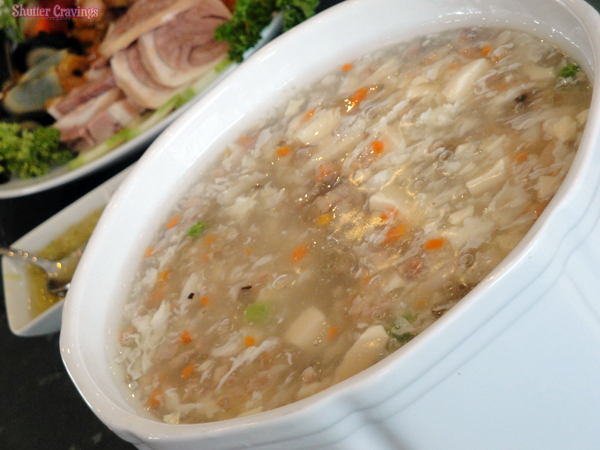 If you still don't have a list of food to prepare for welcoming the new year, then try the delectable dishes shown above. 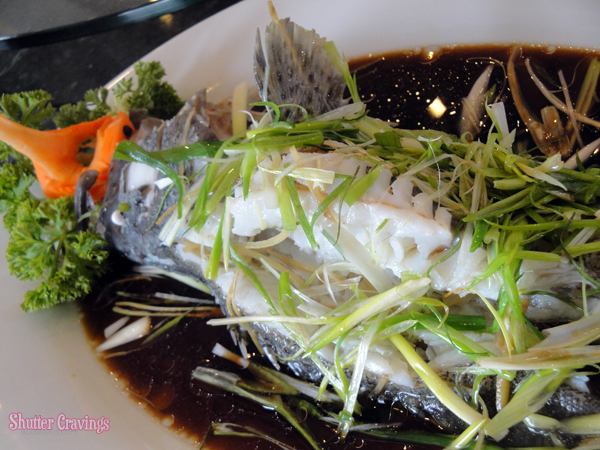 For great and authentic Chinese food, visit West Empire Chinese Restaurant and Seafood Garden before another end of the world date is set to happen! Thank you very much to Jaime Tan, Jr. and Belinda Suaco and Davao Bloggers for this invitation. Hi happy New year! Looks Yummy. Pricey ba ang food? Medyo malayo yung location no but I love how the food looks. hehe hmmmm wanna eat na tuloy. hi Rose! 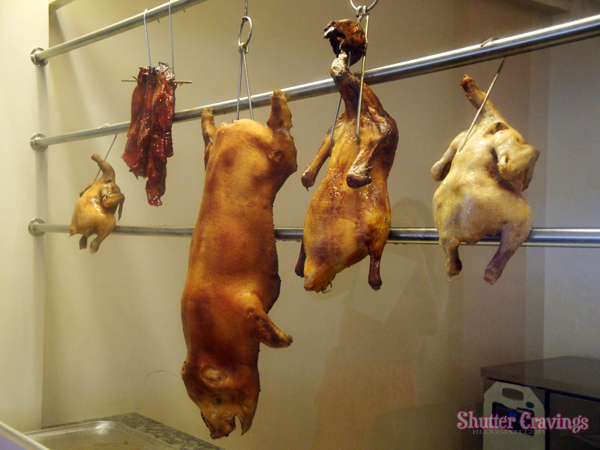 same same lang sila sa mga chinese restaurants. 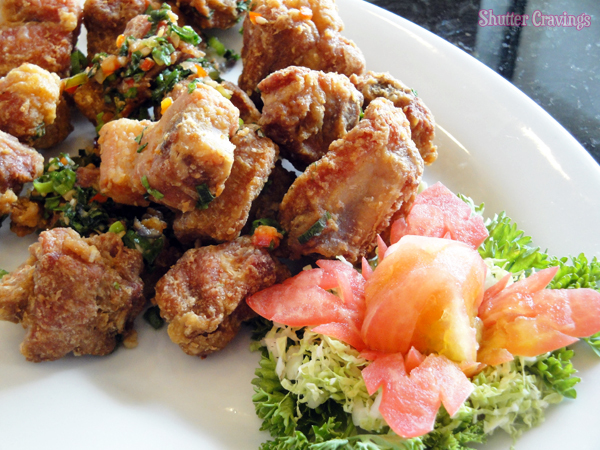 mas ok if you go there in groups para mas masaya ang kainan! I wanna eat that dish!! 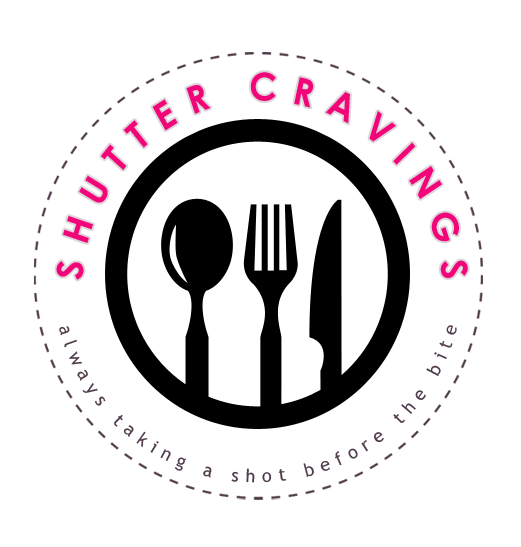 Like your blog! Tingin pa lang, nakakabusog na..
New follower here from Davao! =) Happy New Year! 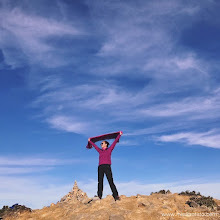 very nice blog ! did you design it your self? hi! i just found a template and then tweaked the fonts and colors and some to match my liking. thanks a lot! The two great Chinese theories, Confucius and Taoism, not just donated to logic and yet to the way the Chinese nourishment is available and served. Getting equipped Chinese sustenance calls for an amazing bargain of encounter and experience. Fantastic post.Never knew this, regards for letting me know. I your writing style really enjoying this website . No, catering businesses in the US can only be run from a commercial kitchen where NSF-approved requirements are met. This is a nice content.I like this one.This is an amazing.The written skill is so good.I am very impressed to this content.Matt Levine. I was searching about the West Empire Resto. Because I got an invite for a birthday dinner this weekend. 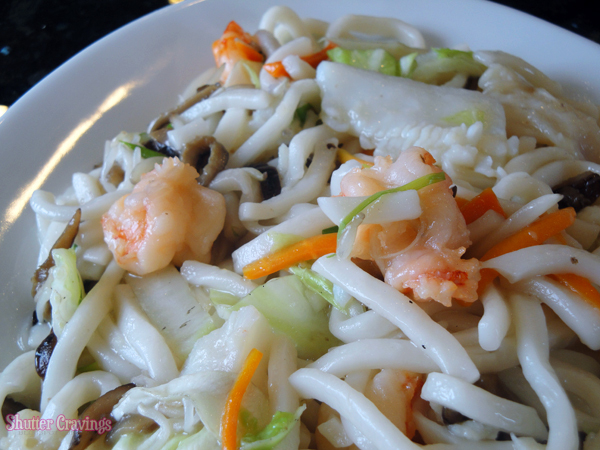 Although, I'm a Big fan of chinese cuisine, I also researching reviews before I visit the place - so I would know what are the best food to order and not to order.. Thankful I found to your blog. Thanks to you and all the photo's. I can't wait to dine and eat there. All of the photos makes me drool. Good Job!